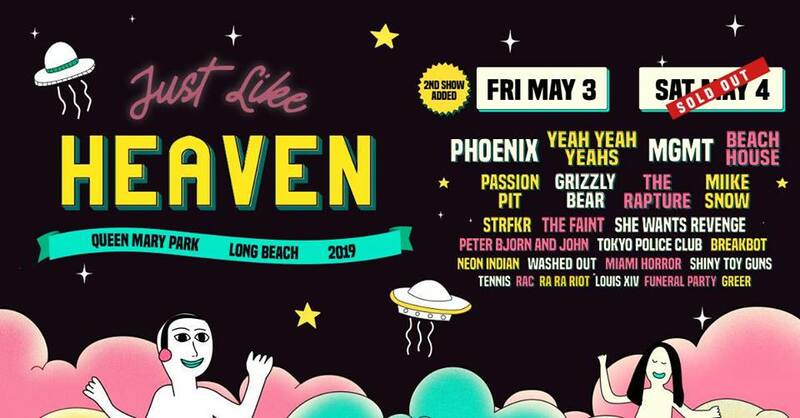 The new one-day festival produced by Coachella producers, Goldenvoice, called Just Like Heaven announced its 2019 lineup. Attendees will get to relive some of their favorite songs from the early 2000s with artists such as the Yeah Yeah Yeahs, Beach House and Passion Pit, in addition to a list of other indie rock favorites. The festival will take place Saturday, May 4 at Queen Mary Park in Long Beach, California. New York’s art punk trio the Yeah Yeah Yeahs gained their popularity while supporting the Strokes and the White Stripes in 2001 before releasing their debut album in 2003, Fever to Tell. Beach House features vocalist/keyboardist Victoria LeGrand and guitarist Alex Scally. The dream pop group from Baltimore formed in 2004 and began releasing soon after with an album coming out in 2006. 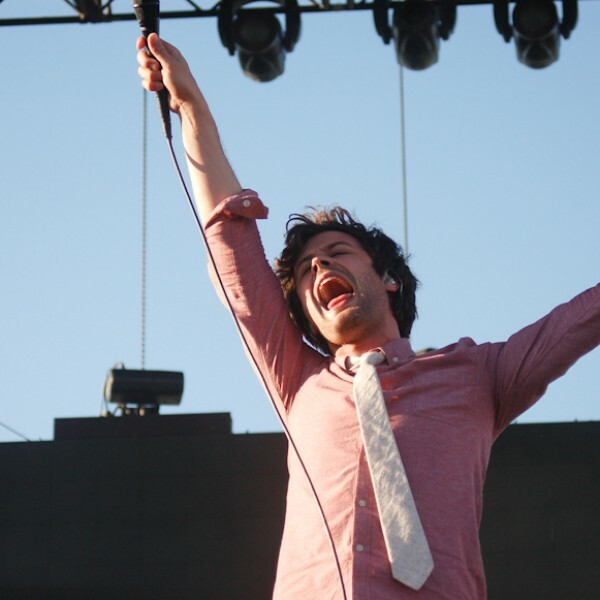 Passion Pit, an indie-electronica act from Massachusetts, will be celebrating the 10th year anniversary of their debut album Manners with their recently announced North American tour. Lucky for fans Just Like Heaven is included in this celebration. Additionally, one of the biggest dance-punk movement groups from the late ‘90s, The Rapture, will reunite for at least two shows, one being Just Like Heaven. This is a huge deal considering the group split back in 2014. STRFKR is well regarded for their highly catchy dance hooks, releasing their first album in 2008 through Badman Recording Co. Fans can expect an energetic live performance from the quirky electronic group. The Faint has multiple albums, their latest being Capsule, released in 2016. She Wants Revenge was formed in 2003 by Los Angeles DJs Justin Garfield and Adam Bravin with inspiration from Joy Division. Peter Bjorn and John is comprised of a Swedish trio, inspired by ‘60s Baroque pop, power pop and new wave. They are best known for their indie pop anthem “Young Folks.” Their #DarkerDaysTour begins April 24 and the band will release new music at the end of the month. Tokyo Police Club from Canada formed in 2005 and grew in popularity through their distinct alternative rock and by playing shows around Toronto. Other noteworthy artists included on the lineup include Breakbot, Neon Indian, Washed Out, Miami Horror, Shiny Toy Guns, Tennis, RAC, Ra Ra Riot, Funeral Party and Greer. Tickets for Just Like Heaven went on sale Friday. 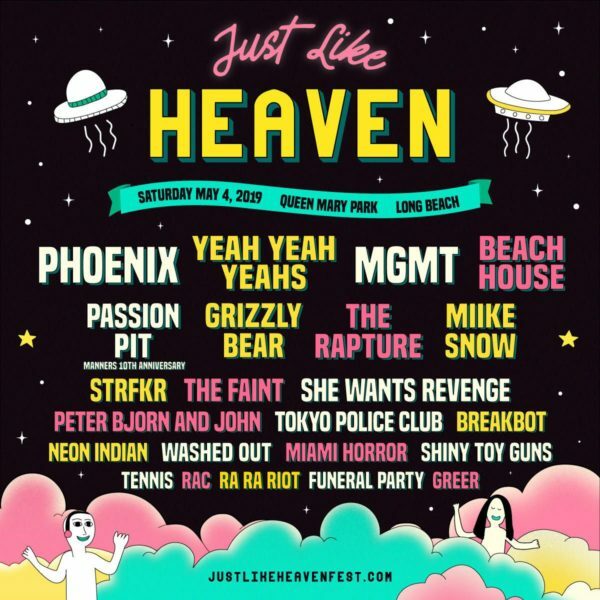 Just Like Heaven Fest added a second day on Friday, May 3 due to the popularity of the Saturday festival.